A more relaxed fit. Can be slipped off and on easily without tying, yet stays securely on the feet. 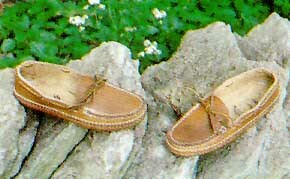 A very well designed leisure moccasin.